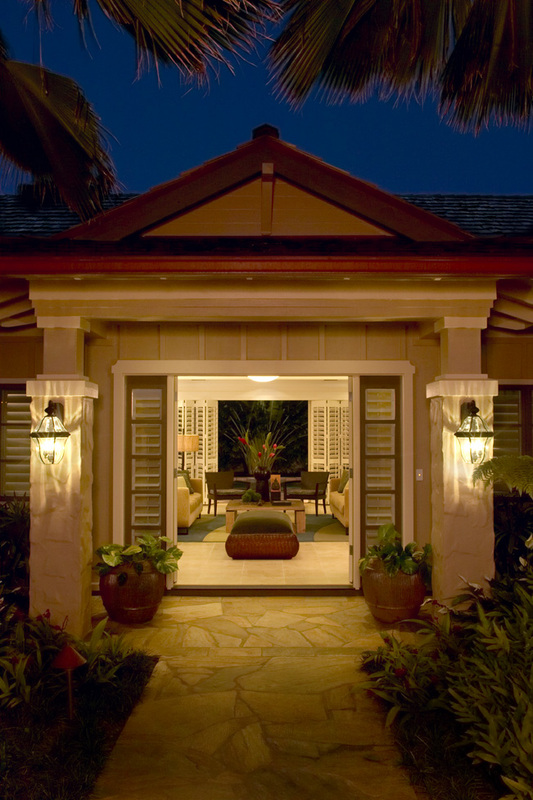 Kahala Island Style — Geoffrey Lewis Architect, Inc.
Kahala Island Style celebrates the Kahala of the past that many of us remember. The classic board and batten exterior façade, the ‘Dickey’ double pitch roof and the exterior moss rock walls exemplify that classic old style of island living. The expression of the ‘Dickey’ roof form has two very important rolls. The double pitch roof allows for a steeper, very evocative roof form over the interior spaces with the shallower pitch at the exterior eaves so to create excellent sun and weather protection without jeopardizing the exterior views. Secondly, this roof form allows for a hierarchy to be established for the residence. The public spaces of the home with their larger scale require the largest and tallest roof line while the secondary private bedrooms of smaller scale have the lower roofs. 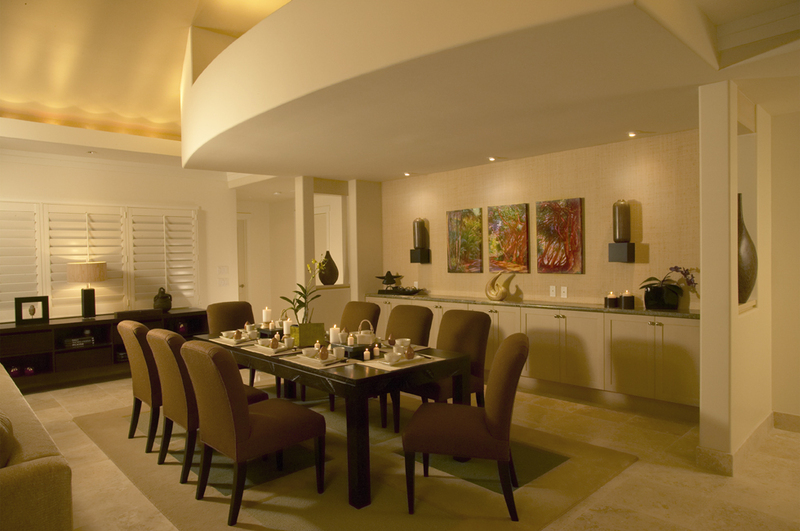 This play of hierarchy creates a dynamic expression for the home, exhibiting the public and private spaces very clearly. 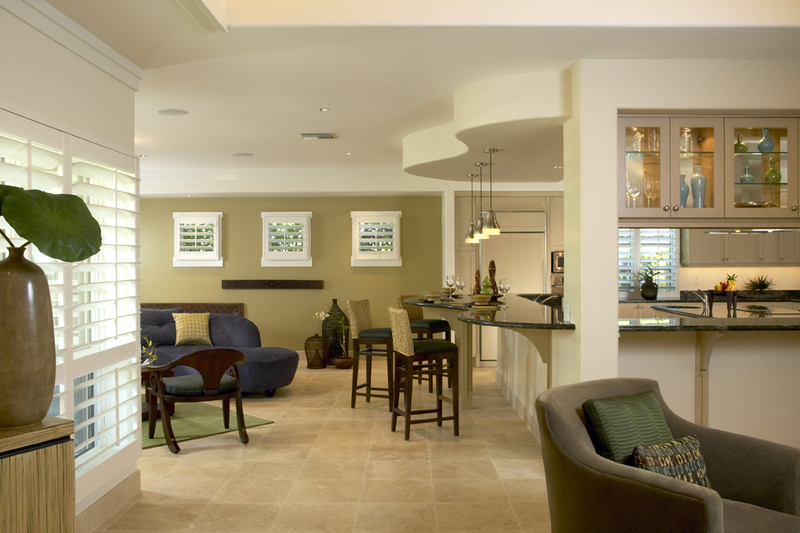 The indoor/outdoor relationship between the great room and outdoor covered lanai and rear yard are a classic example of what makes living in Hawaii so special. One of the unique qualities of this residence is ironically not seen at all. The tectonic system (construction method) for this home was completely framed in light gauge steel. Except for the concrete slab on grade, the walls, roof trusses and all miscellaneous framing are all framed in light gauge steel. The benefits of light gauge steel are the very true straight nature of steel which allows for minimal waste and very straight walls and most importantly, a home inedible to termites. Although about 30% more expensive (rough framing costs) than wood framing, it provides the protection from termites that can be very important for home owners.